We can finally be as glam as WWE’s Paige. WWE’s Paige is branching out into the makeup industry, and we are so here for it. Paige made waves in the world of wrestling after becoming the first NXT Women’s Champion. She went on to become a two-time WWE Divas Champion but has since retired due to an injury, which she announced earlier this year. While she still appears on-screen as the general manager of WWE’s SmackDown Live, Paige has worked to expand into other business ventures. 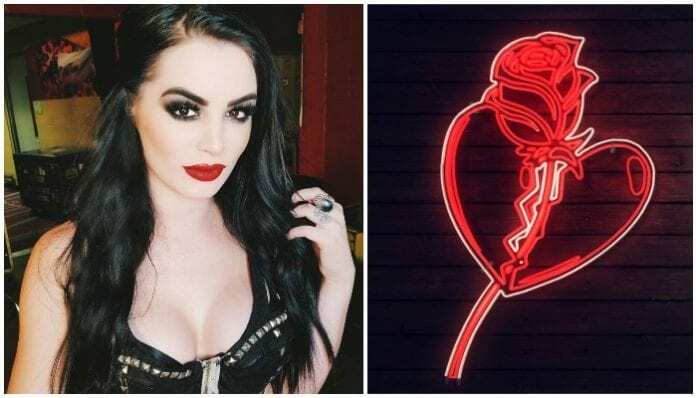 Paige, whose real name is Saraya Jade Bevis, launched a clothing company titled Saraya online in December 2017. A few months later, Bevis opened a brick and mortar store in Anaheim, California. The online shop currently sells shirts, hats, hoodies and more, but Bevis took to social media last night to reveal her next venture: makeup. Launching under the name Saraya Jade Cosmetics, Bevis has partnered with Beauty Society to produce vegan cosmetics. Bevis released a video explaining the rebranding and the excitement she has for the new makeup line, but no further information has been given on the specific products they will sell. Bevis continued to tease the makeup line on her personal account with the hint that another announcement is coming later today.